Truffles are a culinary highlight and one of the most expensive produce items in the world. But do you know any more about the famous delicacies? For example, where is the best place to find them? When is the best time to enjoy them? And, how can I use truffles in my cooking? Find it all out in our ultimate truffle guide! What is the perfect time to find truffles? Truffles are rare. However, being a seasonal product, autumn is the right time to go on the hunt for them. But be aware: different types of truffles can be found at different times. 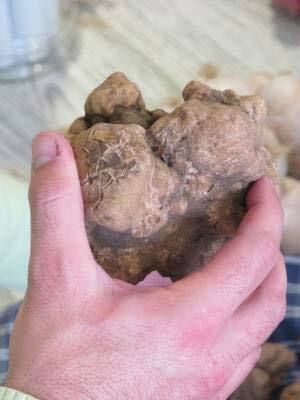 The rare white truffle hails during mid September to the end of January and the black truffles have their seasonal peak from mid November to March. Where can I find truffles? Truffles, as most fungi, are usually found in close association with the roots of trees. You might get the chance to come across the delicious and precious autumn produce during your Italian cooking course in Tuscany! That’s right. The Tuscan region attracts more and more truffle hunters during the October and November months as they grow plentiful in the area. So, going to Tuscany between that time you will be able to stuff yourself with truffles as they will be on offer in Tuscan restaurants en mass. 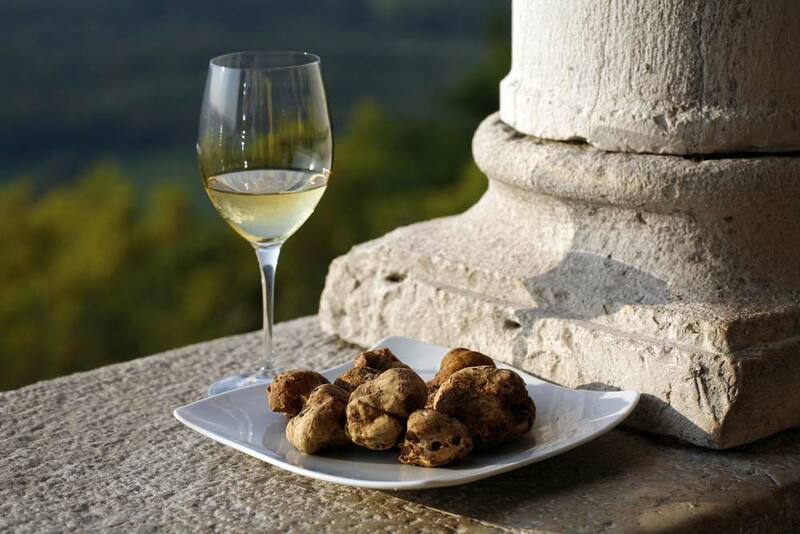 While there is still a debate in Tuscany about what’s the better truffle – white or black, this festival has focuses on the white truffle as this version gets more attention and is considered more valuable. So, going to the San Miniato Truffle Fair, you’ll be able to try the gourmet produce during the last three months in November. The famous San Giocanni d’Asso festival is also held in Novemeber and includes truffle tastings and tips. It’s a great place to try truffles whilst local restaurants offer truffle themed menus. Set in a beautiful countryside in the Southern region of Siena this truffle festival is a highlight for food as well as nature lovers! This is a great, popular Trattoria serving local food and seasonal dishes, especially during the truffle period. Once a pharmacy, it is now the perfect place to try great Italian food. How can I use truffles in my cooking? The truffle is a delicate ingredient and that’s why we would suggest keeping it simple when using truffles in your cooking for the first time. As a basic rule you should not use them any different than you would use herbs, garlic or onions. Shave the truffle thinly or grate it over the prepared meal. The warmth of the dish will intensify its aroma even more! The perfume of the fresh truffle disappears rapidly and that’s why you should limit its cooking time. And also, keep the right proportions when cooking with truffles: 8 -10 grams are more than enough per person. Would you like to go on a Tuscany cooking holiday this autumn and experience the seasonal culinary highlights first hand? Our exciting Italian cooking courses in Tuscany will give you an excellent opportunity to do so. For more information contact one of our friendly members of staff.